The Montreal media day yesterday went very well.Â I did four radio interviews that will run in the coming week or so (I think the CJAD interview may already have aired), along with a video shoot for a popular website and a print interview for The Surburban.Â The Montreal Gazette is expected to review TBLP in the next several weeks as well.Â Hank Schaffer, an experienced book publicist was wonderful company getting me to and from the interviews.Â All in all, a great day. Now, it’s on to the nation’s capital for the Ottawa International Writers Festival. It’s going to be a busy TBLP fall! 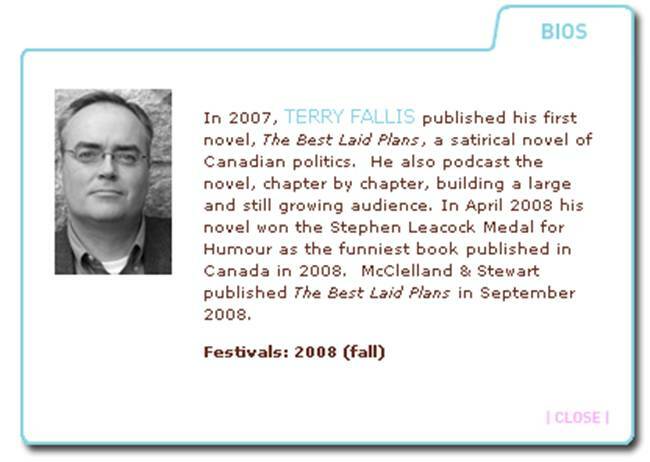 As I’ve been threatening to do, I thought I’d list the readings and other speaking events I’m doing this fall in support of the release of the McClelland & Stewart edition of TBLP.Â Being on the author circuit will be a new experience for me but I’m really looking forward to it.Â In the next couple of weeks, this blog will go through a make-over of sorts and there will be a separate “Appearances” page in case any of you have the twisted desire to know where I’ll be speaking or reading. Wednesday, September 24, 2008: Harbourfront Reading Series, a reading at 7:30 in the Brigantine Room at Harbourfront. I’m honoured to have TBLP share the stage with Andrew Davidson and his debut blockbuster The Gargoyle, and Fred Stenson and his new novel The Great Karoo. Thursday, September 25, 2008: Readings at the Roselawn, a talk and reading at the Roselawn Centre in Port Colborne with an audience of 300 subscribers! Sunday, September 28, 2008: Word on the Street – Toronto, a reading at 11:00 a.m. in the Great Books Marquee. Friday, October 3, 2008: Headwaters Arts Festival, a reading as part of the 4th annual Armchairs, Authors, and Art event, at 6:30 p.m. in Caledon, Ontario.Â I’ll be sharing the program with Joseph Boyden and Drew Hayden Taylor. 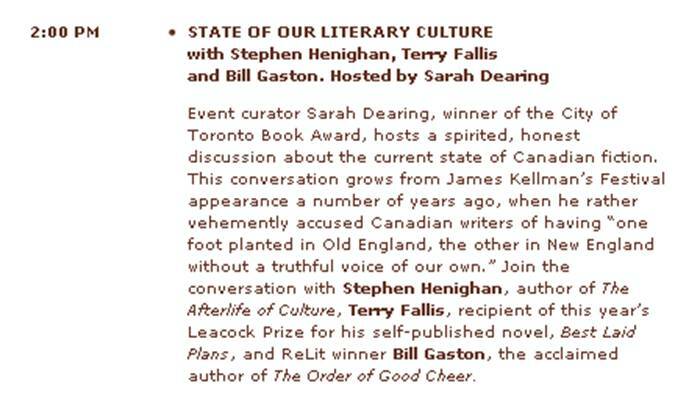 Sunday, October 26, 2008: Ottawa International Writers Festival (scroll down until you hit the Sunday, October 26th schedule), a reading at 2:00 p.m. (I think) and on-stage panel discussion on The State of Our Literary Culture (yikes!) 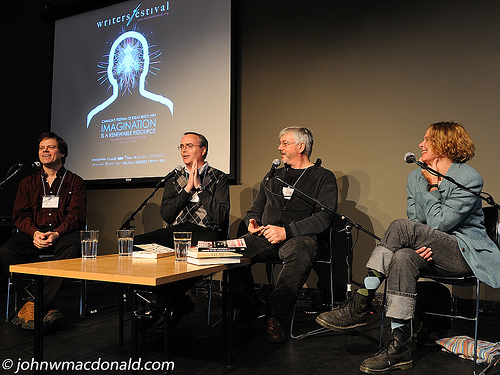 with Stephen Henighan, and Bill Gaston, moderated by Sarah Dearing. Monday, October 27, 2008: Ottawa Public Library,Â a free lunchtime public reading at the Main Branch that I assume will start around noon. Wednesday, October 29, 2008: McMaster University Alumni Book Club, a reading and discussion starting at 7:00. Tuesday, November 11, 2008: Gryphon Theatre Annual Authors’ Night, an evening reading in Barrie along with Ted Barris, author of many books on Canada’s storied military heritage. Saturday, November 15, 2008: Breakfast talk at the Writers & Editors Network as part of their Speakers Series, at the Canadiana Restaurant in Toronto. Tuesday, November 18, 2008: A reading and talk at a McMaster Alumni “Coffee and Conversation” evening event in Toronto. Wednesday, April 1, 2009: The prestigious Grimsby Author Series held at the Casablanca Winery Inn.Â A reading alongside one of my literary heroes, Paul Quarrington who will be reading from his latest novel, The Ravine. Wow!Â It’s going to be a busy time.Â But I can think of nothing else I’d rather be doing.Â Stay tuned for a revamped website with its own “Appearances” page where I’ll try to keep track of all of these engagements. 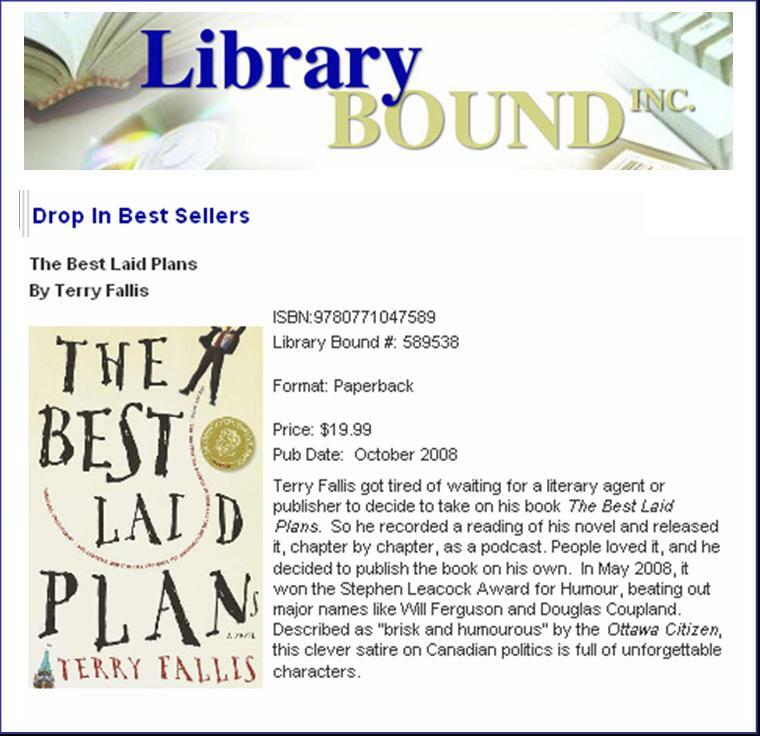 I just discovered when reviewing my monthly sales summary from my publisher that the Ottawa Public Library system has ordered 15 copies of TBLP to distribute among its 33 branches. As far as I know, this is the first library order I’ve received. 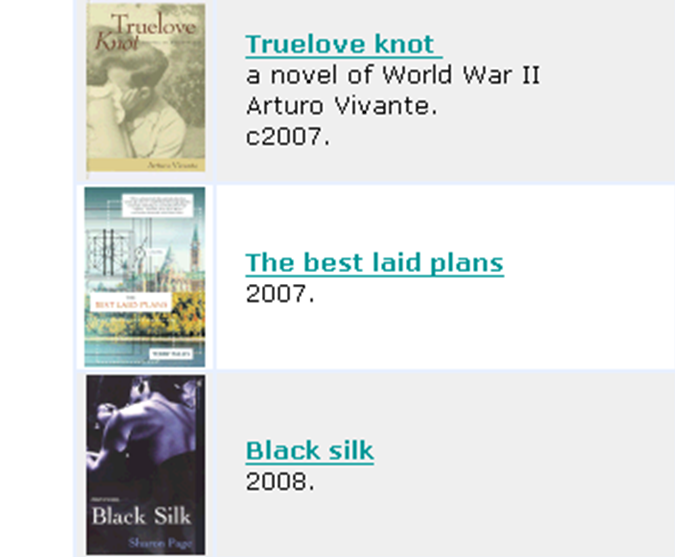 For what it’s worth, here’s a partial screen shot of the New Titles On Order list from the Ottawa Public Library website. Very, very cool.